Second edition published June, 2013, reprints 2014, 2017. A Cavendish quantum mechanics primer takes the reader, initially equipped only with maths from their penultimate school year, to well into the second year quantum mechanics course in physics at Cambridge University. 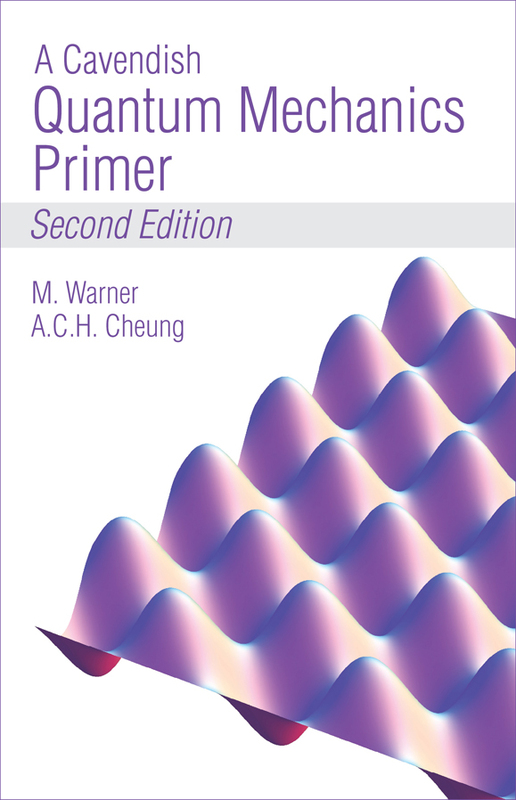 It is not a complete textbook, but is a primer that aims to introduce essential ideas while emphasising skills and the solving of problems --- much in the style of the Cambridge physics course. Chapter 1 revises essential mathematics and classical physics used throughout this book and in higher physics generally. Its material is also preparation for university entrance. Readers will find the required calculus and functions familiar, but will be guided for perhaps the first time to their use in solving physical problems. Such fluency and facility is essential for further study and for the transition to university. Subsequent chapters explore ideas of confinement and uncertainty energies, atoms, pair production, tunnelling into forbidden regions, the quantum oscillator and the quantisation of strings and oscillations of fields, higher dimensions, particles in nano-structures, and quantum dynamics. Readers are asked to solve such problems in their full mathematical depth. Many problems are solved as examples, others have hints only. Chapters 1 - 3 of this primer represents an expansion of the lectures given at the Senior Physics Challenge. Chapters 2 - 5 are also suitable for university courses. The second edition has minor corrections and 8 additional pages of problems, with more questions added in the 2017 reprinting. The authors, Prof. Mark Warner, FRS and Dr Anson Cheung have many years of research, teaching, tutoring and admissions experience at Cambridge University. Mark Warner is part of the Theory of Condensed Matter research group at the Cavendish Laboratory, and is a fellow and director of studies at Corpus Christi College, where he currently also does admissions. Anson Cheung was formerly a member of the TCM group, and is a former fellow of Trinity College where he both taught and also did admissions. He has for many years been on the staff of the British Physics Olympiad Movement. Chapter 1 (second edition) is available as a free sample. Click here to view. Bulk orders (20 or more copies) and single copies can be purchased at £1 per book plus appropriate post and packing. See links on left menu.